Nigeria-born star, Dominic Solanke officially became Liverpool's second summer signing on Monday and the 19-year old has said that he is very proud of his decision to move to Anfield. 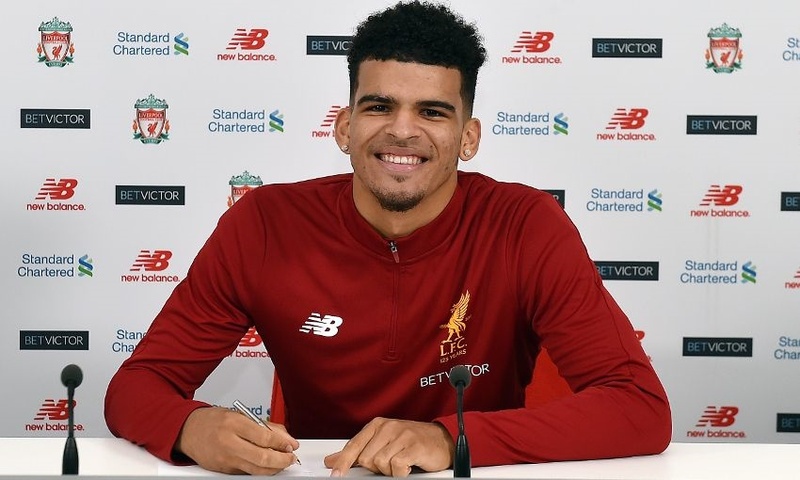 Solanke who was voted as MVP at the last FIFA U-20 World Cup in which England emerged as champions said among other things, the chance Liverpool gives to youngsters to blossom influenced his decision to become a Red. “Every time I see Liverpool there’s such a family nature, there’s a lot of young players doing well at the club, so I think it will be a good place for me to develop my career,” he told LFCTVGO. “Anfield is an amazing stadium so I can’t wait to experience that. When you see it on TV you can get a bit of what the atmosphere’s like but to actually be there, I can’t imagine what it’s going to be like. “As a young player you always want to see the club you’re at pushing young players through. I’m quite good friends with Joe Gomez , I’ve known him since we were young and obviously Ovie (Ejaria) and Sheyi (Ojo) who were with us at the World Cup. "We spoke a bit when we were away so I’m looking forward to enjoying it with them. It is understood that a tribunal will settle the fee to be paid for Solanke by Liverpool to Chelsea and it is expected to be in the region of £3m.